I am greeted by Mickie Ross, Williamson Museum Executive Director, as soon as I step into the museum located on the square in Georgetown. Dressed appropriately in a poppy-decorated dress (Georgetown, the county seat, is, after all, the Red Poppy Capital of Texas), she begins telling me about Williamson County. 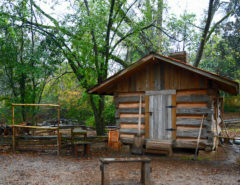 “It was in 1848 when the citizens of western Milam County petitioned the state to form a new county. The Milam County Seat was 40 to 50 miles away for residents,” Ross explains as she points to a map. The citizens first wanted to name the new county San Gabriel and then Clear Water. But, in the end, lawmakers in Austin chose Williamson to honor Robert McAlpin Williamson: editor, patriot, school teacher and a Major of the first Texas Rangers. “I don’t think he ever visited the county,” she adds with a smile. As we walk through the museum, she explains temporary exhibits change once a year. 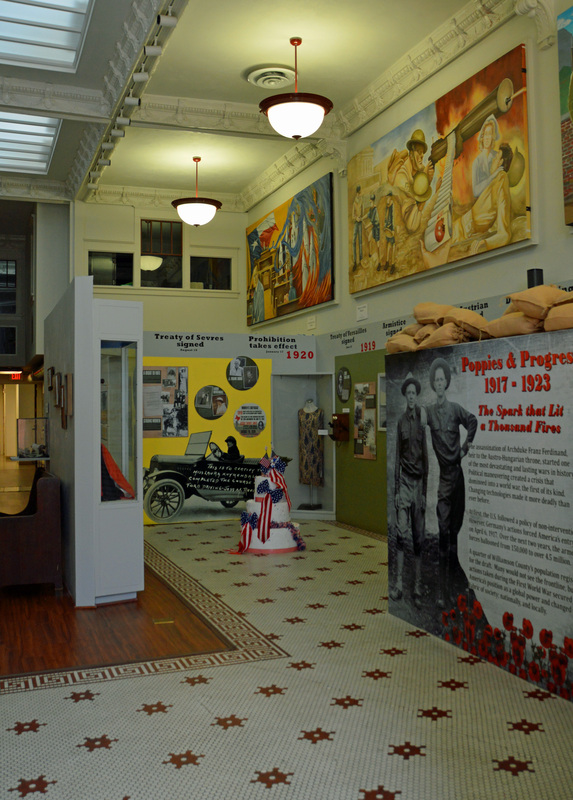 “Poppies and Progress 1917 – 1923” helps explain how the war affected the nation and Williamson County by honoring war heroes, suffragettes and others during and just after the war. 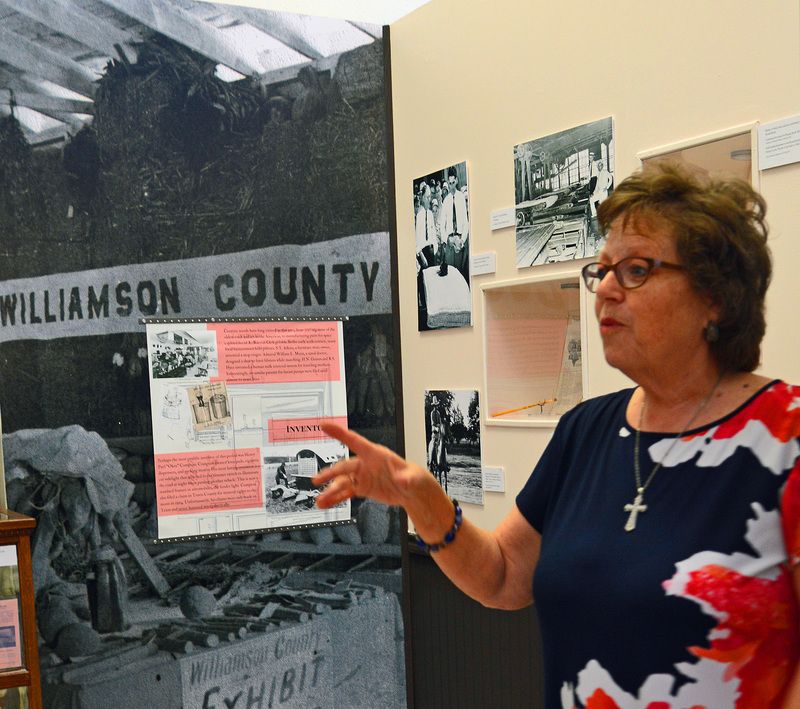 Permanent and temporary displays focus on Williamson County history and its citizens. Another temporary exhibit is “A Place of Faith, Congregations of Williamson County” and features historic and current photography honoring the county’s diverse religions. 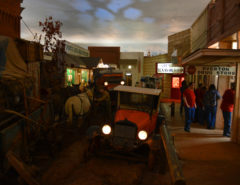 Permanent exhibits include “Willie’s Kids Corral” where children can make believe they are living the cowboy life, and “Museum Works Project” features murals painted in the tradition of the 1930s and 40s Public Works murals. “We also have 17 different grade-appropriate traveling trunks we take to schools across the county. We present specific aspects of history including the Revolutionary War, Swedish heritage and pioneer times in Texas,” she says. 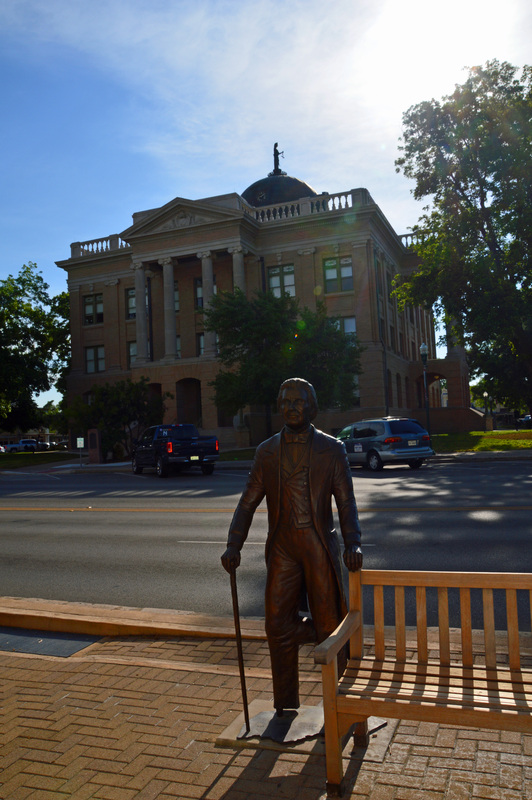 Williamson County recently opened The Williamson Museum on the Chisholm Trail in Round Rock and provides tours of the Historic Williamson County Courthouse. Murals frame the exhibits below. Every exhibit is beautifully displayed; the work of several dedicated volunteers. 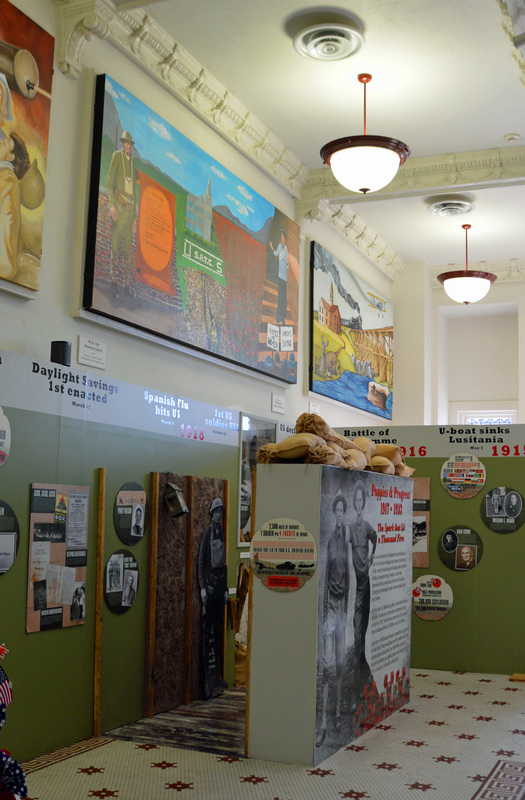 The museum is an excellent introduction to the county and Georgetown. Before I leave I peruse the excellent gift shop and then bid Ross farewell to continue my stroll around the city’s beautiful and historic square. 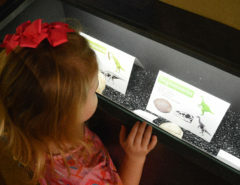 Williamson Museum Georgetown Square is open Wednesday to Friday noon to 5 p.m. and Saturday 10 a.m. to 5 p.m. Also open on First Fridays from 6 to 8 p.m.
Williamson Museum on the Chisholm Trail is open Saturday 10 a.m. to 3 p.m.
Williamson County Courthouse tours are offered Fridays and Saturdays at 1:30, 2:30 and 3:30 p.m.
For article on other interesting museums, click here.